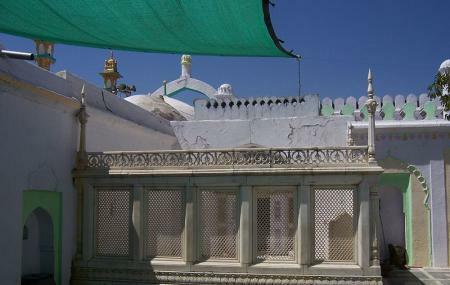 In the old city of Khuldabad lays the tomb of the last Mughal Emperor – Aurangzeb. His sleeping place is an unmarked grave in the complex of Sheikh Zainuddin. The place is quite significant in the history. Aurangzeb, who was the sixth and last ruler of Mughal empire ruled the place for many years and after his death in 1707 was buried here which was the abode of his spiritual guru- Sheikh Zainuddin. There is not much to see except its history. You can walk around and learn a little about the architecture of that time judging by the remnants of the building. Stroll through the place, click a picture or two and let your imagination wander in the past when the place used to bustle with people. An interesting place indeed! How popular is Tomb Of Aurangzeb? People normally club together Daulatabad Fort and Ellora Caves while planning their visit to Tomb Of Aurangzeb. Good place to visit. You need have to give minimum 2 hrs to complete. Excellent designed. But need to take care the structure because visitors was writing on the heritage structure walls. Have to stop that good place to visit. A must visit place for it's historical significance. Visiting such place let's you feel like going back in time. The tomb is of Aurangzeb was originally not a permanent structure. The basic philosophy is that you have to leave the world empty handed. Although Lord Curzon during British regime added some marble to structure. Emperor Aurangzeb killed his brothers to get to the throne but at the end probably he realized how short living are the material comforts and powers of this world that is why he ordedred that he be laid in simple open earthen grave . It is a lesson for all of us to not be fooled in the material comforts of the world and be good to all creations of the Almighty God and remember him in all our deeds. It's one of the simplest mughal tomb. If u know the history it's make u amazed. Can't imagine how it's built by a great emperor. It's so simple. U can touch the clay of the tomb still now and feel the history.